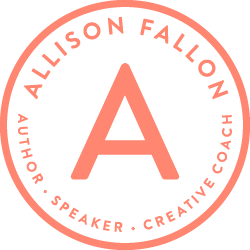 I’VE HELPED HUNDREDS OF AUTHORS— from total beginners to New York Times Bestsellers—to outline, write, edit and publish their books. There are several ways I can support authors, but one of the most popular ways I can help is with my process I call “Book in a Day” since we literally go from book idea to to book outline in a single 8-hour day together. I meet people all the time who want to write a book but don’t know where to start. and takes into account the exact person you are writing to so that you never have to worry about it being a waste of time. This process shaved more than a year off the book-writing process for me, and has done the same for dozens of my clients. After writing 12 books— 10 for other people and 2 of my own—I’ve developed a process that not only streamlines the process, it maximizes your writing time, makes you feel more confident in the direction of your book while you are writing it, and takes into account the exact person you are writing to so that you never have to worry about it being a waste of time. This process shaved more than a year off the book-writing process for me, and has done the same for dozens of my clients. That’s okay, I have a few other resources for writers to keep you moving. Get started with these two simple resources below.